We have established ourselves as coveted organization, involved in manufacturing, supplying and exporting a wide gamut of Material Testing Machine. All our testing machines are manufactured in accordance with British and International standards. These machines are fabricated using superior quality raw material and latest cutting edge technology at our manufacturing unit. 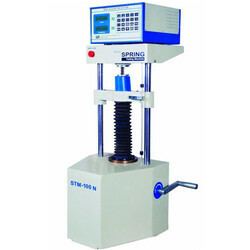 We offer these testing machines in wide range which includes Chain Testing Machine, Leaf Spring Testing Machines, Bend & Re-Bend Testing Machines, Coil Spring Testing Machines, Compression Testing Machines, Leaf Spring Testing Machines, Bend & Re-Bend Testing Machines, Coil Spring Testing Machines, Jominy Test Fixtures and End Quench Test Apparatus. With the help of skilled workers and latest machinery, we are able to offer a wide gamut of Jominy Fixture. 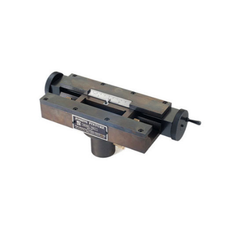 Used for checking hardness at intervals, required for end quench test. Backed by the profound experience of the industry, we are engaged in manufacturing, supplying and exporting Digital Torsion Testing Machine. While manufacturing these testing machines, our professionals strictly follow the established norms and standards of the industry. Further, a team of experts examine these testing machines on different parameters to ensure their flawlessness, before the final dispatch to the customers. Provision to conduct test slowly by a handle which facilitates finding Modulus of rigidity "G"
With thorough knowledge of the industry, we are engaged in manufacturing, supplying and exporting Digital Fatigue Testing Machines. While manufacturing these testing machines, our professionals strictly follows guidelines as per IS 5075-1969 and utilize optimum quality material obtained from the reputed. Also, these machines are stringently tested by a team of experts to ensure their flawlessness, before the final dispatch. Patrons can also avail these tanks in custom-built range, as per their requirements. 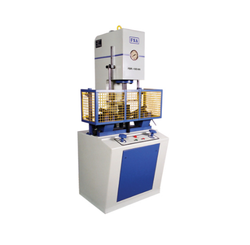 We are one of the leading manufacturers and suppliers of Leaf Spring Testing Machine. These machines are manufactured using optimum grade raw material which is sourced from trusted vendors of the market. All the testing machines offered by us are widely appreciated by our clients for its high durability and sturdy construction. 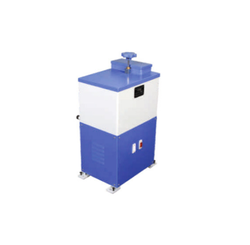 Our clients can avail these spring testing machines from us in varied sizes and other specifications as per their need. With the help of skilled workers and latest machinery, we are able to offer a wide gamut of Bend & Re-Bend Testing Machine. 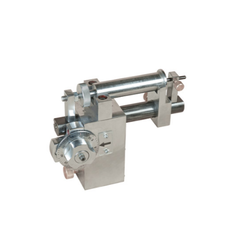 Manufactured using supreme quality raw material which is procured from authentic vendors of the market, these machines are in compliance with international quality standards. Before the end dispatch, our entire range is thoroughly scrutinized under the vigilance of quality auditors so that only flawless material is delivered at clients location. 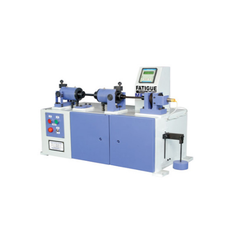 We are the stalwart in manufacturing, supplying and exporting a wide assortment of Bend & Re-Bend Testing Machine. Manufactured using the high-grade quality raw material in accordance with international quality standards and guidelines. 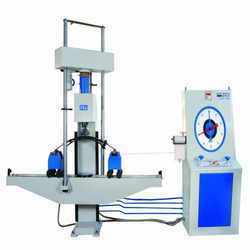 These machines are widely used for reinforcing concrete material which can be used to test carbon steel bars up to a diameter of 40 mm. 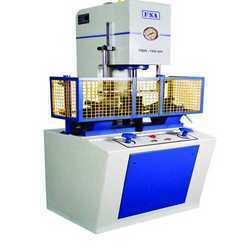 All the testing machines offered by us are available in various sizes and other specifications. With the help of experienced professionals, we have been able to design and develop a wide range of Coil Spring Testing Machine. Manufactured using superior quality raw material and latest machinery, all these products are designed in compliance with international quality standards. Before the end dispatch, all testing machines are thoroughly scrutinized under the supervision of quality auditors so that only flawless material is delivered at clients location within the committed time-period. Our organization is dedicatedly engaged in the business of manufacturing, supplying and exporting Jominy Test Fixture. These are manufactured using optimum quality raw material employing latest tools and techniques. Our range of test fixtures are widely demanded in the market for its high durability, perfect fittings and robust designing. Clients can avail these fixtures from us at economical price. Owing to technologically advanced manufacturing facilities, we have been able to offer a range of End Quench Test Apparatus. These are manufactured using excellent quality raw material with employing latest machines and tools. Before the end dispatch, a team of strict quality examiners stringently examine these test apparatus on varied parameters to ensure their flawlessness. Further, a team of deft expert ensures that these gate valves are delivered at clients location within the scheduled time. 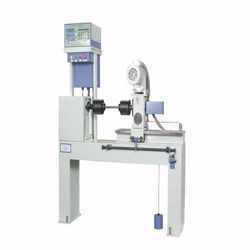 Looking for Material Testing Machines ?